Will Australian ebook sales surpass printed book sales? Where’s the ebook sales data? In the chart above you will see our claim that it’s not a question of if Australian ebook sales will surpass printed book sales, but when. In this thought experiment I took a US chart made by statista.com and adapted it with Australian data I gathered from the web. This is not a careful calculated study based on real data, but a prediction I am putting forward, however flawed, as the managing director of Australian eBook Publisher. People in the US spend 10x what Australia spends on eBook capable devices. This is slightly more than can be accounted for by population size alone, and supports the above claim (1). 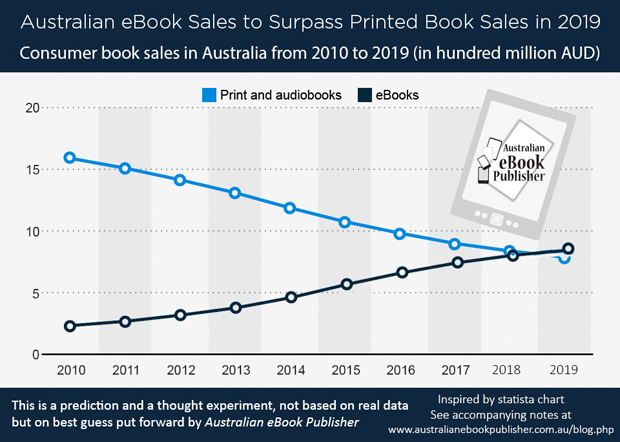 In my prediction above you can see that print and ebook sales are starting to converge, but it won’t be until 2019 that ebook sales surpass printed book sales in Australia. It is therefore important to have your book available in both. Bear in mind, of course, that the availability of ebooks worldwide, and especially for otherwise out-of-print titles or self-published titles that are not affordable in print will naturally skew the data in favour of ebook sales. In other words of course ebook sales are going to eventually surpass print, because ebooks are so much cheaper and easier to produce and distribute. The fact remains, however, that it is a smart business decision to make your creative content available as an ebook. Now is the time! Need help self-publishing in print or online? We’ve been doing it for three years, and have a strong distribution focus on Amazon, Apple, Kobo and GooglePlay Books for ebooks, and we use a worldwide book distributor for print on demand. 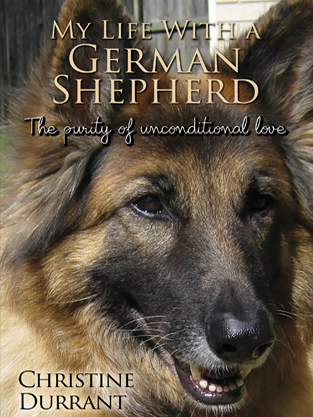 Contact Australian eBook Publisher today!